Angel City Brewery is an old-world, small-batch, craft brewery located in the heart of downtown LA. 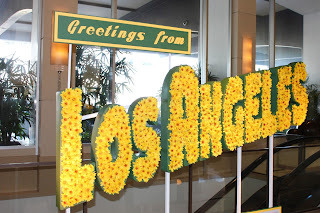 Its wares are available in the greater LA area, as well as Las Vegas. 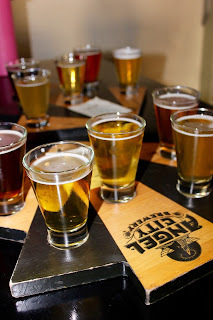 Founded in 1997, the brewery relocated to the historic John A. Roebling Building in the Arts District in 2010. 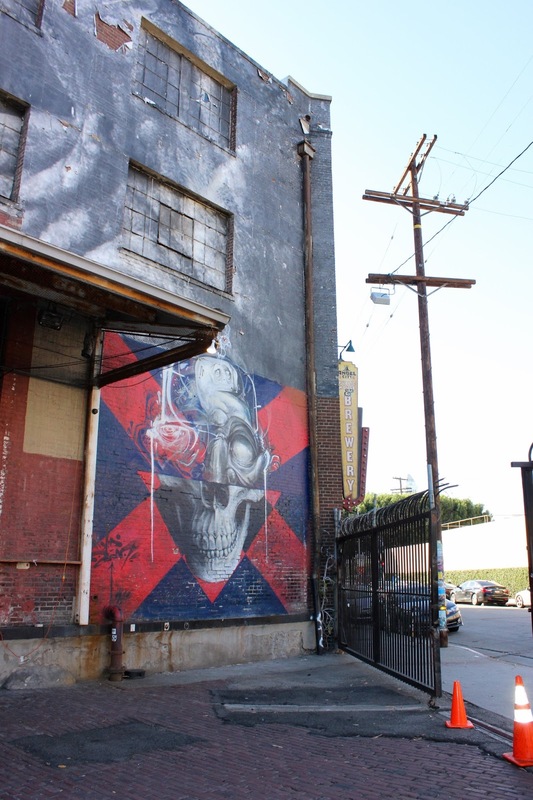 It’s been a DTLA staple ever since! While ACB our favorite beers included the tart and refreshing light-bodied wheat beer Berliner Weisse (which was perfect for someone looking for a girly beer aka ME) and the Coconut Marzen, a traditional malty lager where unsweetened, toasted coconut added to the mash to make for a tropical twist (Kelly’s BFF)! 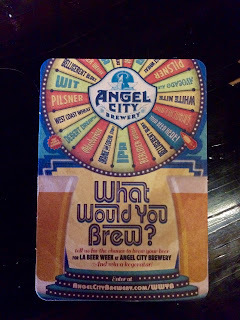 Our visit was perfect timing as Angel City Brewery’s ‘What Would You Brew?’ contest is now open for public submissions. 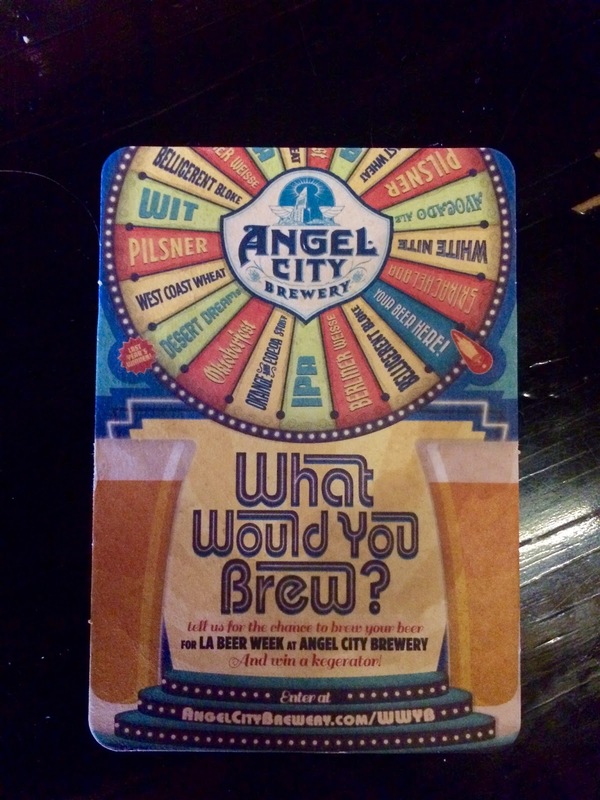 One lucky and creative winner will have the opportunity to brew their beer with the Angel City brew masters. What Would You Brew 1 and 2 culled creative responses from across the Southland with contributors submitting hundreds of incredible recipes and stories. 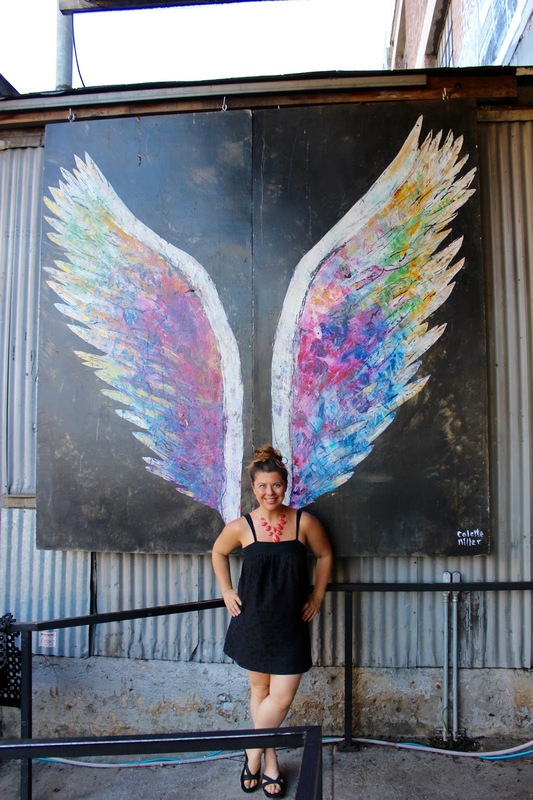 2013’s top entry was a sweet and spicy Mexican Cola Beer from home brewer Emily Finch, and 2014’s winning entry was the intricate Desert Dreams by Lori Newman. The prize package also includes a custom kegerator, case of pint glasses, tap handle, a tin tacker sign, and Angel City Brewery featuring the winning brew during LA Beer Week 2016. 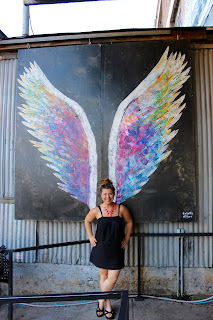 Ideas can be submitted here: http://angelcitybrewery.com/wwyb/. Entries will be accepted through September 30, 2015. 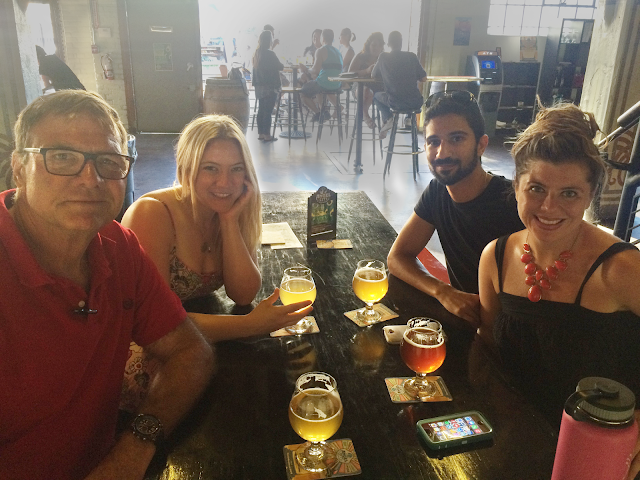 Here’s to life being delicious and crafting that perfect creative beer! Labels: Angele City Brewery, Berliner Wiess, Edible Skinny, John A. Roebling Building, Kat Thomas, Kelly Grace Thomas, Los Angeles Beer, Los Angeles Beer Festival, What Would You Brew? 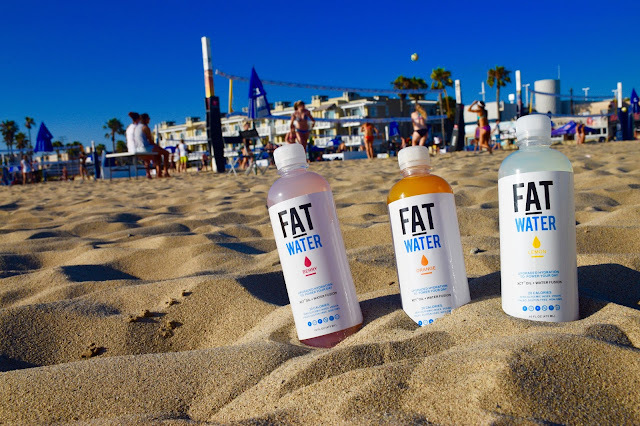 For most people certain things are supposed to be separated: Solange and Jay Z, cats and dogs, oil and water… but for Biohacker, bestselling author and Bulletproof Coffee CEO Dave Asprey the last one on that list is up for debate with the launch today of FATwater, an oil water fusion to biohack the body’s hydration and power your day. Bulletproof proclaims FATwater as the next generation of energy drinks: caffeine free, no artificial sweeteners, and only 20 calories. FATwater contains patented nanoparticles of Bulletproof XCT Oil™, the most valuable Medium Chain Triglyceride fats (MCTs) found in coconut oil. 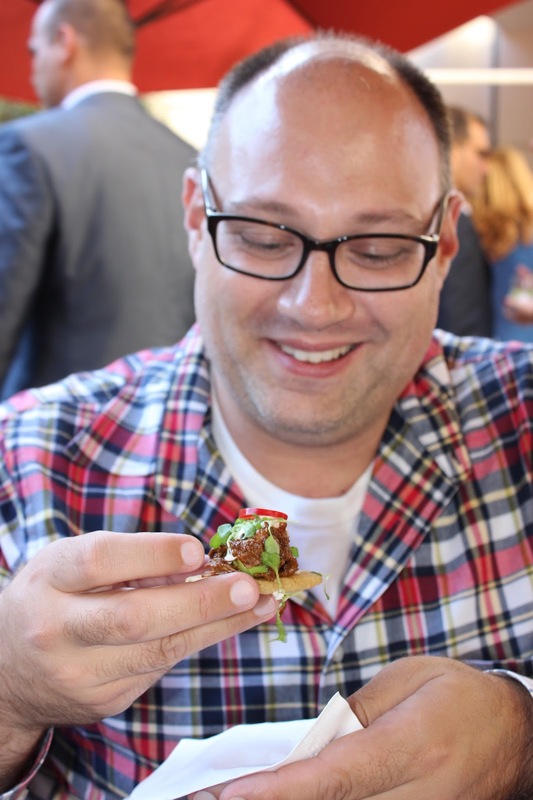 Last week Edible Skinny was lucky enough to check out Viento, a Pan-Latin inspired pop-up restaurant at Breeze Restaurant at Century City’s Hyatt Regency Century Plaza! 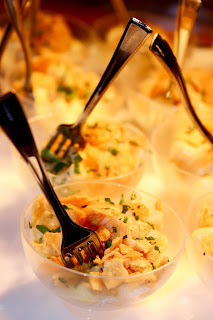 From Mexican to Argentine to Peruvian, the menu is a fusion of traditional Latin flavors with global food trends. Incorporating key South American foods such as corn, ajis (peppers), guava, and coconut, Viento’s (which means breeze in Spanish) goal is to introduce the movers and shakers of FOX and CAA, the Hyatt Regency’s visiting guests, and Century City Mall shoppers to the world of Nuevo Latino. The complete transformation of the restaurant consists of new furnishings with a mid-century modern vibe, art by local artists, the addition of new communal tables, and a redesigned patio for outdoor dining. By day, the traditional Breeze sushi menu will remain unchanged, but at night, the entire menu will shift to Viento’s Pan-Latin offerings. Viento’s dishes focus on fresh creative cocktails and farm-to-table tapas that recall the flavors of everywhere from Buenos Aires to Santiago. My guest, the delightful carnivore Carl Hansen, enjoyed the Pork Belly Torta Sliders composed of Crispy Pork Belly, Curtido, Ciruela Jam, and Fresno Chiles and the Mini Duck Sopes with Epazote Bean Puree, Duck Mole, Cotija, Charred Onion Crema Fresca and Micro Arugula! The Veg that I am, I dabbled with their Latin inspired Macaroni & Cheese consisting of Cheddar, Guajillo Sauce, and Crushed Fried Tostados. 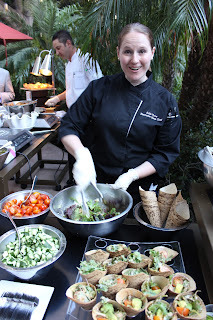 To balance this richness, I also partook in their Fresh Salad offerings, which included a Chipotle Kale Caesar, comprised of Roasted Pepitas, Manchego, Avocado, and Tomato, and their Aztec Amaranth Salad, with Roasted Poblano, Red Onion, Cucumber, Tomato, and Cumin-Lime Dressing. Once I was assured the Amaranth was just that and not fish roe (they look very similar…) I dived into the fresh exoticness of this healthy dish option! 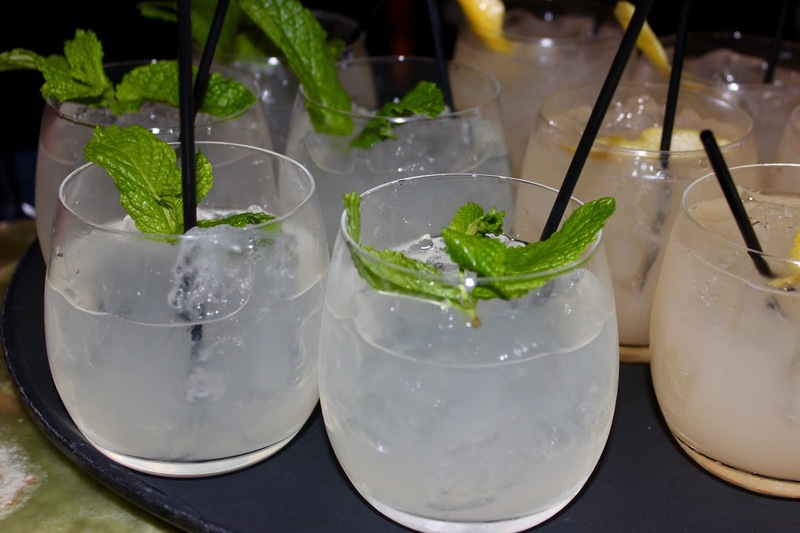 Our favorite Pan-Latin libation was the Coconut Mojito concocted of Bacardi Coconut, fresh lime juice, and mint. And for those who want to indulge in a more classic glass of Latin booze (since cocktails are really only an American concept according to Ruben Aceves Vidrio, Director of International Brand Development of Casa Herradura) there is the choice of a glass or a tour of premium Tequilas, including Herradura Seleccion, Cazadores Anejo, or a premium rum such as Mocombo 20yr or Brugall 1811. In a city known for reinvention, Breeze will undergo an interior and culinary transformation every six months evolving into another PM dining destination! So make sure to catch Viento before it vanishes like the Mayan civilization! 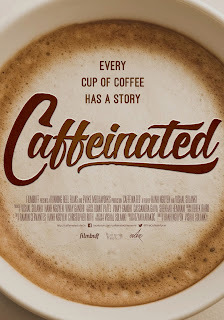 Feature Documentary CAFFEINATED Opens Nationwide Today! How much do you know about your morning brew? Edible Skinny recently screened Caffeinated, discovering how lacking we were on the Skinny on our morning Joe. From seed to mug, coffee, and the process by which everyone's favorite brain juice is created, has shaped the lives of thousands of individuals worldwide. 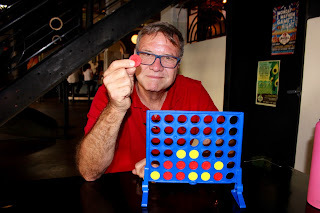 Working with Geoff Watts, famous green-buyer, filmmakers Vishal Solanki & Hanh Nguyen travel to America’s most populous coffee-drinking cities and to producing countries, interviewing connoisseurs and farmers alike. With a focus on the social and cultural landscape of coffee, Caffeinated gives the coffee consumer unprecedented access to the farmers responsible for growing that perfect bean, and the producers responsible for brewing that perfect cup. • Coffee is related to stone fruits such as apricots, peaches, and plums. • Specialty Coffee, denoted as coffee of a certain caliber, was invented by Erna Knutsen in the early 1970s. Erna was a secretary at a large coffee brokerage firm, during her time there smaller companies would call looking for high quality small batch beans. Erna's employer didn’t see the purpose in dealing with these “micro-roasters” so they handed them off to her; she later founded Knutsen Coffees. • The Cup of Excellence is the most prestigious award given to a fine quality coffee. 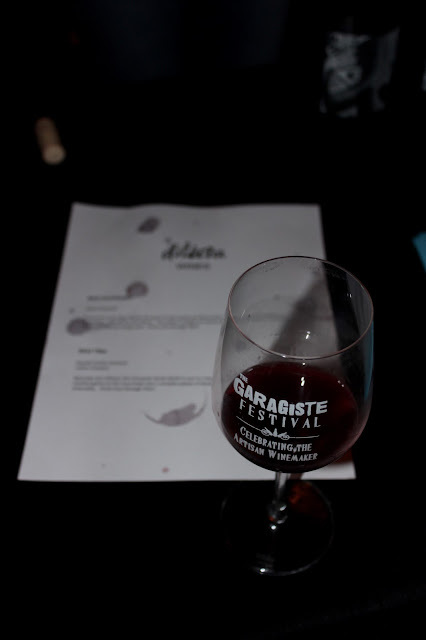 During their selection process, thousands of cups are evaluated, tasted and scored based on their exemplary characteristics. The prices that these winnings coffees receive at auction have broken records and proven that there is a huge demand for these rare farmer identified coffees. 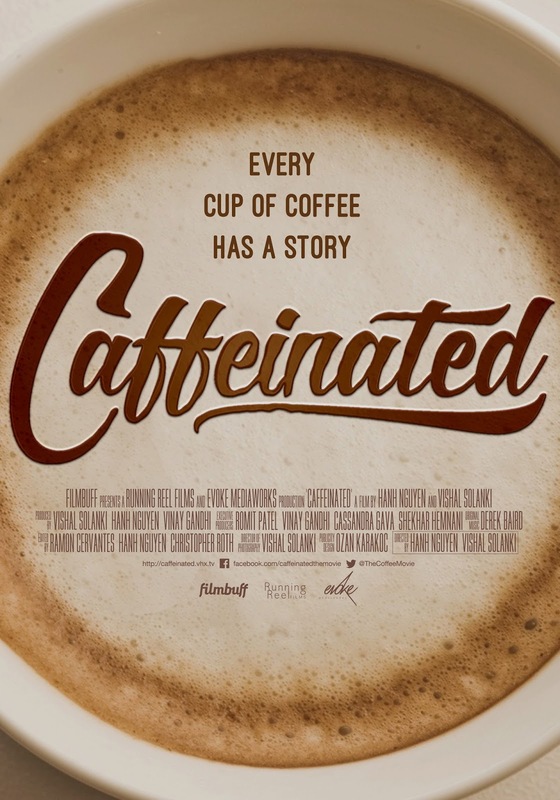 Caffeinated opens nationwide TODAY and is available on iTunes, Amazon, GooglePlay, Xbox, Vudu and all major cable providers including Time Warner, Comcast, DirectTV and more. How do greet the sun? 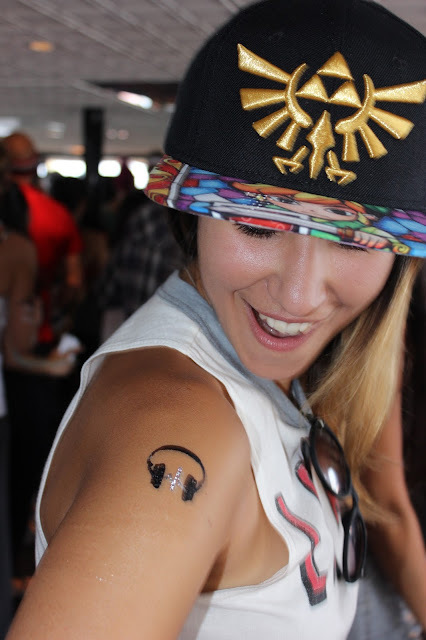 Well if you’re a DAYBREAKER then it’s by jamming out to the sounds by DJ Marques Wyatt while surrounded by hundred of your closest friends on the deck of a boat floating in the heart of Marina del Rey. That’s how you greet the sun! 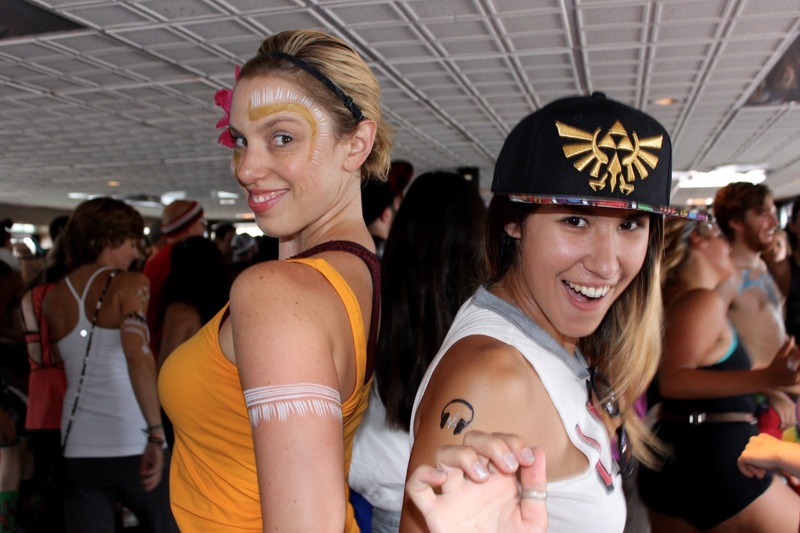 Edible Skinny was lucky enough to attend DAYBREAKER, the sunrise disco extravaganza last week! 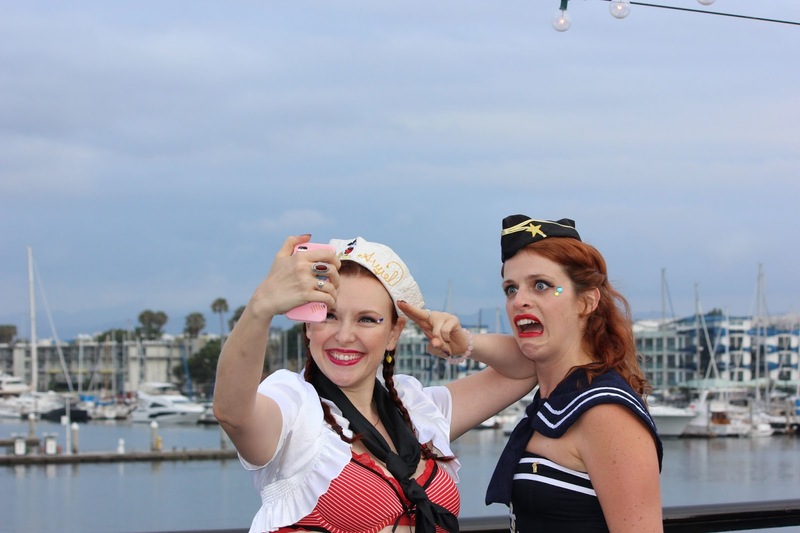 The event, held on the California Hornblower, started with an early morning 5:30 yoga class followed by two hours of rocking it out to Wyatt, one of the cornerstones of the LA House scene. DAYBREAKER isn’t the black and white world of dreary athletic treadmills that never take you anywhere. Instead it’s the rainbow kaleidoscope of disco queens and kings, fresh beats, getting festooned with tribal markers, a roaming trumpet section, and grooving every which way to Sunday with a giant costumed sun. The two hour, dry dance party is alcohol free but full of spirit, promoting love and mindfulness to give attendees an uplifting, energizing start to the day. The rock star morning movement has successfully moonwalked it’s way through New York, London, Los Angeles and San Francisco attracting people of all ages, occupations and backgrounds with it's new approach to fitness and fun. Amsterdam, Atlanta, and Seattle are next on the list with plans to expand the network of DAYBREAKER parties globally. Co-Founders Matthew Brimer and Radha Agrawal enthuse “DAYBREAKER is about dancing before daybreak with people we love; about curating a community of camaraderie, self-expression, wellness, and mischief." So here’s to life being delicious, brushing off your best sailor girl costume, and greeting the sun in the style!